... a picture spells a 1000 words. Dees v Bummers. 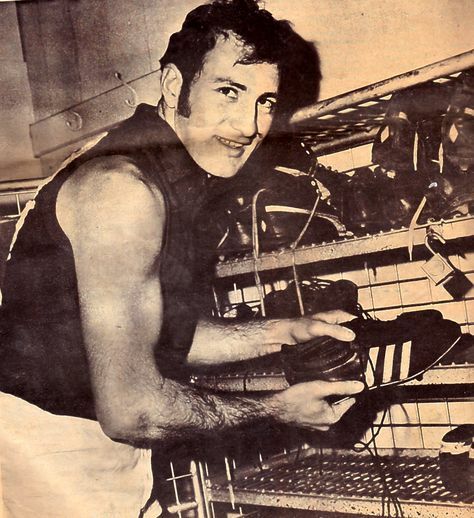 ... the great 'Jimma' Stynes. Hassa Mann... front and centre. Topflite player of the day. so few playing images of our olden days. It's hard to find many. Truly underrated - he was a brilliant player who was always into the hot zone, clearing and teaming, terrific kicking skills, agile, tough and fast. 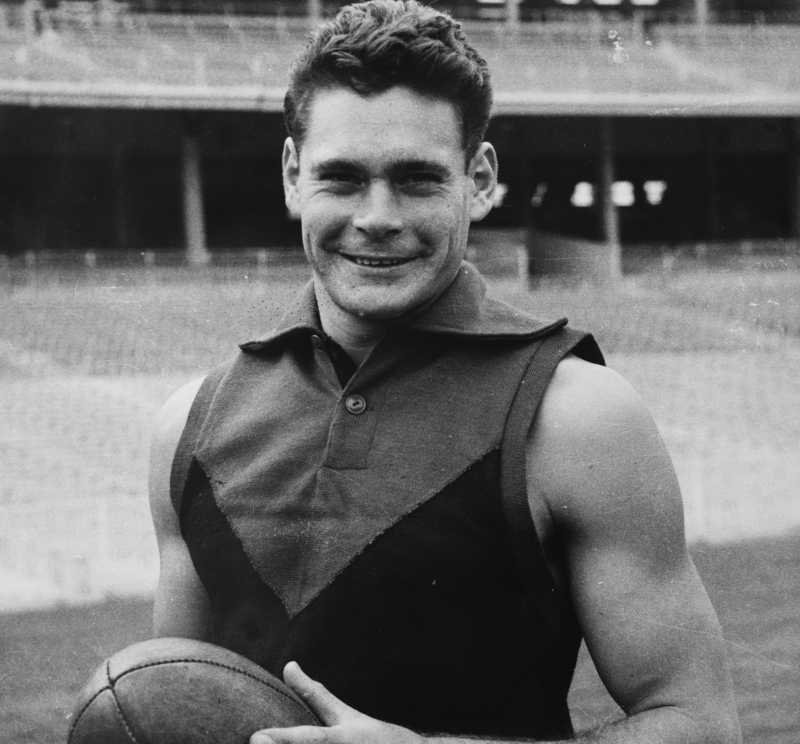 In later times, in purple patches of a few games, young Dean Kent made me blink twice - he had Hassa's attributes at times, and Kenty looked very similar to Hassa on the ground when moving towards the ball - he even kicked a little like Hassa but not as prolific or effective. Kenty kicked a big one last season, a very important goal at the end of the game. Hassa did this many times across particular games in the days of 'individual efforts'. Is that John Nicholls on the far left of the photo... beast. 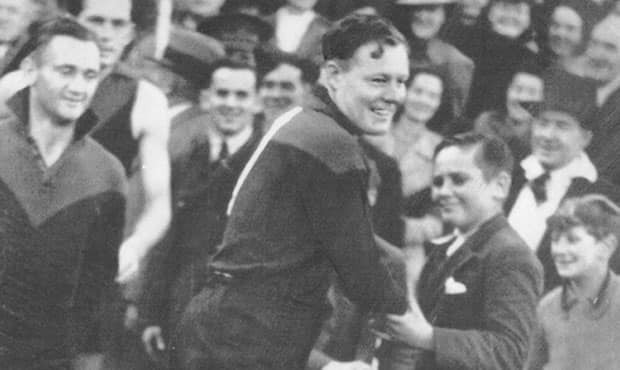 Barry Davis, Essendrug champion par excellence. 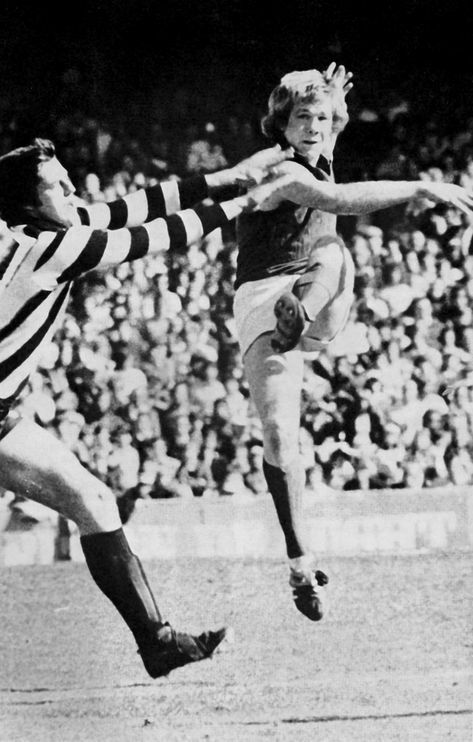 Nichols was a beast - levelled by Laurie Fowler in his Richmond days prior to joining the Dees whilst being held in position for Laurie's follow through by big Neil Balme. Some say that it was justice for what Nichols could do quite regularly to the whole of the rest of the competition. As a ruck, Big Nick was more than handy for Carlscum and he took no prisoners in that effort. Yes, what Nicholls did to Tony Anderson wasn't exactly 'nice'. My dad was a bluebagger and my old sister. 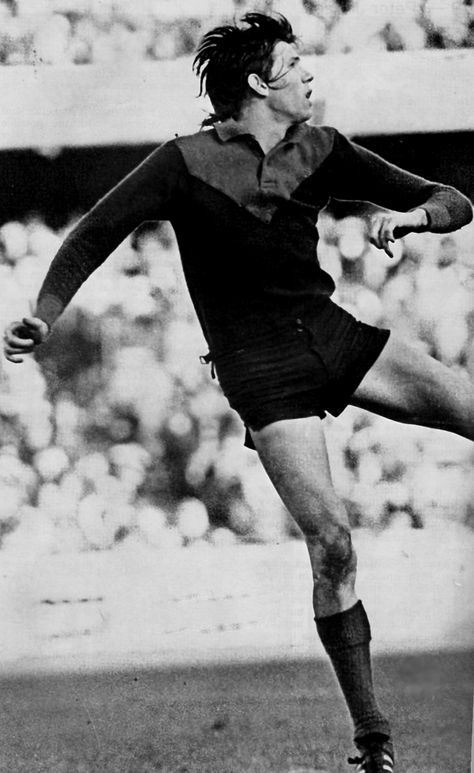 Dad took us all to princes park (must have been trying to convert me)... and one day I saw from the fence, John Nicholls dueling a young Len Thompson at a boundary throwin. 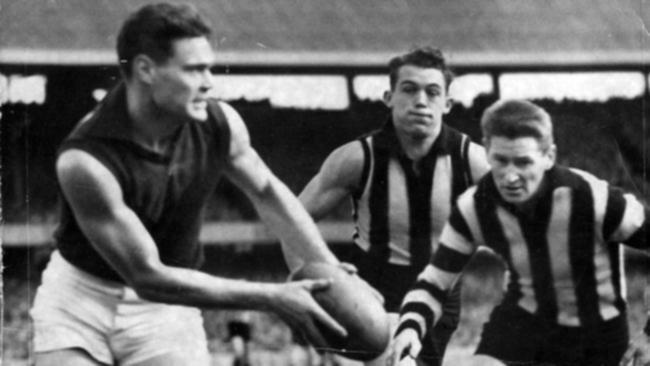 Something happened to Nicholls, and the ball was punched back out of bounds, metres away... Next throw in, and Nicholls whacked the ball, and Thompson's nose at the same time, smashing Thompson's nose over his face. game over for him. I remained a Dee, against all the odds along the line... with everyone else having success. Even the Sainters got theirs. 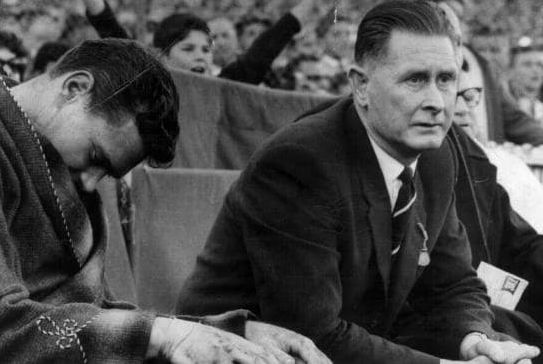 Football was a totally brutal 'sport' in those days. It was sanctioned assault and very rarely punished. 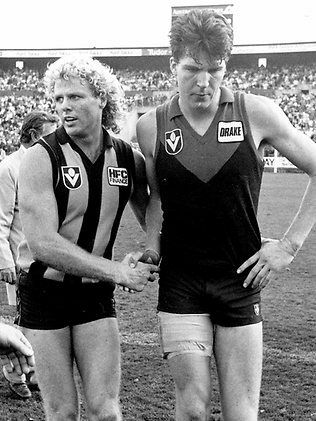 Sure, every now and then someone would get rubbed out but Dermie and Co, Mathews and Co, Scott, Dipierdomenico and Co, Nicholls and Co, Balme and Co assaulted other footballers week in week out and got away with it.